By now the most sports fans have heard that the Professional and Amateur Sports Protection Act (PAPSA) has been ruled unconstitutional by the Supreme Court of the United States (SCOTUS) in a 7-2 decision announced Monday, May 14th, 2018. The ruling now lets states decide if they want to allow legal sports betting in their state or not. As of now, there are about 20 states pushing for some sort of legalized sports betting and most of them have already drafted legislation to allow it, and a few have already passed legislation. Following the ruling, we are now waiting to see if the US Federal Government is going to regulate sports betting across the nation or let the states regulate it. Until federal regulation is bestowed upon the states they can legally offer sports betting with no fear of being sued under the PAPSA act. The professional and amateur sports leagues are pushing for federal regulation and an integrity fee of 1%. When Will State Licensed Sports Betting Begin? Since New Jersey won the case, they will be able to start accepting bets on sports as soon as they get their operations in place, which could be as little as a week or two. Three other states have also already passed legislation to allow sports betting: Pennsylvania, Mississippi, and West Virginia. Those states will also be allowed to set up operations with no fear of repercussions from the PAPSA act. In the coming weeks, we will see legal sports betting begin in those states as well. Other states will have to pass legislation before they can start accepting sporting bets. PAPSA was first enacted in 1992 as a way to keep states from enacting state-authorized sports gambling operations. When it was first enacted, states such as New Jersey were given a 1-year window to put in place a sports betting platform but failed to do so. In 1992, there were 4 states that had some form of legal sports betting already in place; Nevada, Montana, Oregon, and Delaware. Those states were exempt from the PAPSA act because of the grandfather clause. 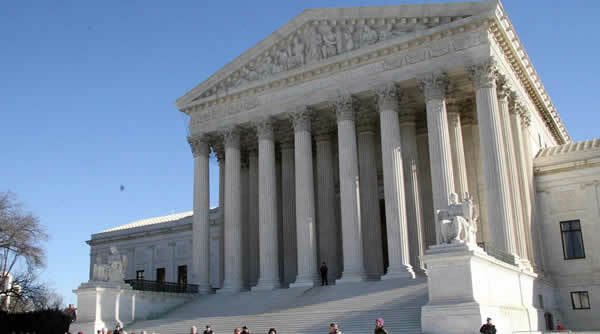 Now that the SCOTUS has declared the PAPSA act unconstitutional, exemptions and limitations are out the door and states can now allow sports gambling if they choose to do so. Will There Be Any Other Legal Complications? For the most part no, legally the sports leagues have no grounds to stand on in opposition to sports betting now that the PAPSA act has been overturned. Each of the leagues have expressed their interest in federal regulations and want to acquire a 1% integrity fee for potential unforeseeable troubles. Earlier this year the 4 teams sent a statement to the press expressing their concerns over the PAPSA act being nullified. While recently the professional leagues have changed their tune to accept sports betting, they are lobbying for federal regulation and for the integrity fee. Most people will say that the concerns around legal sports betting are points shaving and throwing games to appease bettors. These are general concerns that people opposed to sports betting often have because of the few instances where those offenses have occurred in the past. Here is the thing, sports betting occurs now illegally, and bets are taken by bookies across the US with no taxation or regulation. Bookies who offer these services are risking jail time if caught, but when was the last time you heard of an illegal bookie being arrested. It doesn’t happen often I can assure you. Illegal sports betting in America is estimated to be around a $150 billion a year industry. Legal sports betting is expected to turn this underground revenue into a legal and regulated state taxable service that provides state revenue that can be used for other state needs. A regulated and state authorized sports betting service could provide more revenue from bettors who didn’t want to bet illegally or with an unregulated service. How Will Legal Sports Betting Affect Online Sports Betting In The USA? There will be little to no effect to legal USA online sports betting. In the USA, Americans can legally wager with offshore online sportsbooks as there are no laws that forbid it. Some states offer legal US online casinos already but because of the PAPSA ban and the Federal Wire Act, sports betting was not allowed. Now that PAPSA is being repealed, the Federal Wire Act is the only thing preventing US-based online sports betting. The act is an old act that needs to be reformed or replaced, but the DOJ’s formal opinion of the Federal Wire Act stated that the wire act only pertains to online sports betting and not online casino gambling. Until the Federal Wire Act is repealed, US-based online sports betting will not be allowed.